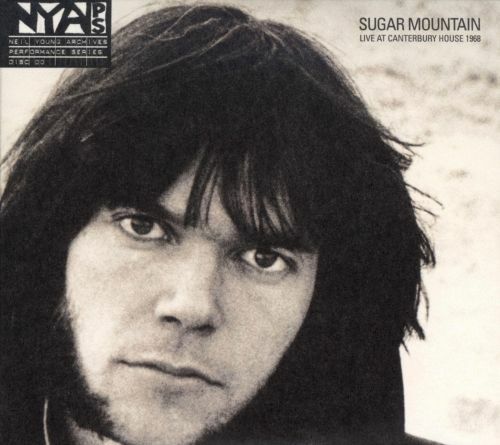 "Sugar Mountain - Live At The Canterbury House 1968"
Neil Young's Sugar Mountain: Live at Canterbury House 1968 from The Archives Vol. 00, is a recording of solo concerts at Canterbury House in Ann Arbor, MI on November 9 and 10, 1968. The Bentley Historical Archive was not too happy they didn't get all the archives from the Canterbury House when I was there. Thanks so much for sharing the research Jim! Great stuff and we eagerly await additional reports from The Archives. It's also interesting that Bentley is now a regularly featured writer on NYA T-C. He's shared some great stories with lots more to come from the looks of it. More on Neil Young Archives - Vol. #1. Just to be clear, I was sort of checking the Bentley out as I need to have my written published archives somewhere. Was sort of flippant in my comment above that I want to clarify. It was my first time doing official research, that is true, but it was partly on Neil Young and partly on how to deal with my 160 published works in the Ypsilanti Press, weekly Variety in NYC, Detroit Free Press, Metro Detroit and the Face in London all on music in the surrounding area around Ann Arbor. Also donated some soundboards I'd been given by Nanci Griffith, three by Richard Thompson and one of the last shows by Steve Goodman for their Ark Coffeehouse collection. Think I left another set with Anya at the Ark Coffeehouse office. After I finish a book I've started on a sort of real life "mythical mountain" in North Carolina that will include a heaping helping of the Nunne'hi I'm going to circle back and complete a book on my reviews and interviews from 1979 to 1992 that were published. About fell off my chair when the "Outlander" series I was watching with my wife last week had a Nunne'hi story line. Could see it telegraphed before it happened and was so shocked when it did. Did take about 150 photos of the material at the Bentley but you have to sign a release that I haven't returned to display them. 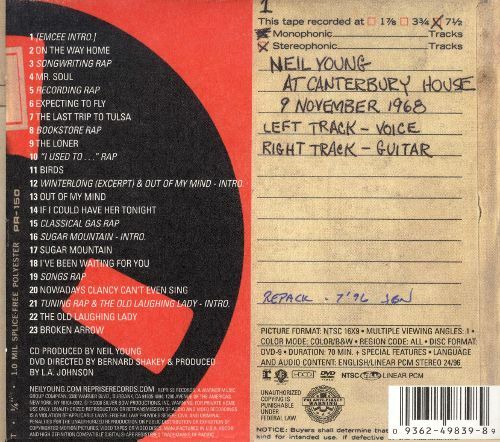 So would have liked to have heard one of the three "solo" renditions of "Country Girl" from Deja Vu done at the Canterbury House before it was recorded weeks later for the LP. It was done on the second round of shows at the Canterbury House in 1969 but it wasn't to be for that trip.